Tonight was a rather special live Jazz evening in Wilmslow - high in quality, high in value and very well attended. The main attraction was Howard Alden, the highly accomplished and internationally respected American virtuoso guitarist. 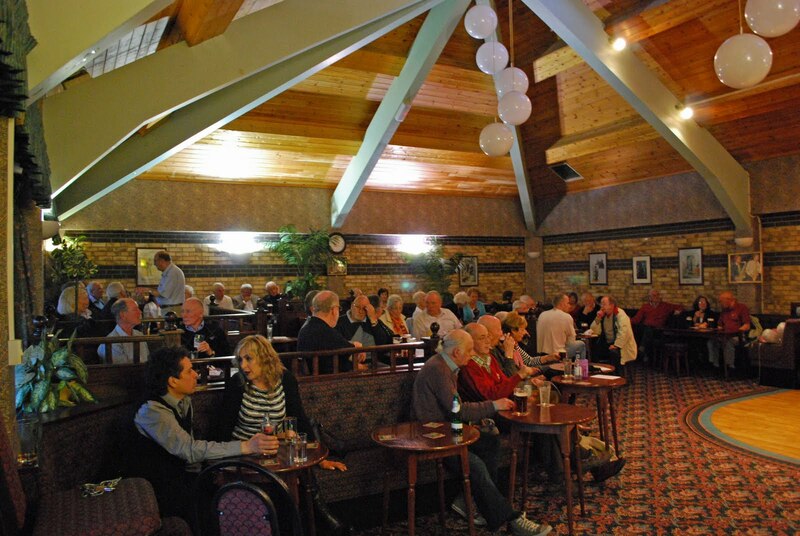 Howard managed to include the Wilmslow Conservative Club venue in his busy schedule, which included a Jazz guitar tuition weekend, workshops, festival appearances and a numerous gigs around the UK. On this particular evening he shared the stage with an impressive line-up of fellow Jazz musicians. The equally well known and accomplished guitarist Trefor Owen, his distinctive sound of improvised patterns, subtly interwoven around the melodies. Expressively rich, airy tones emanated from saxophone and clarinet, wielded by the ever popular John Hallam. All underpinned by the rock solid bass of Monday night regular Dave Turner. Promoter Graham Brook encouraged the formation of this slimmed down band, to highlight the talents of these exceptional artists. A tactic which proved hugely successful in demonstrating Howard's extraordinary capabilities, repertoire and musicianship - to the obvious delight of the enraptured audience, who included quite a few members of Trefor Owen's Jazz Guitar Club. A surprise guest for the night was the lovely and equally talented Jeanne Guis, a New York singer, who had literally flown into the country a few hours earlier. By singing on a few songs from both the first and second sets, Jeanne introduced a professional and classy vocal interest to the already inspirational music. 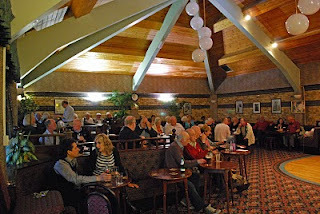 Many thanks to Conservative Club member and frequent live Jazz attendee Brian Smith for the photographs.